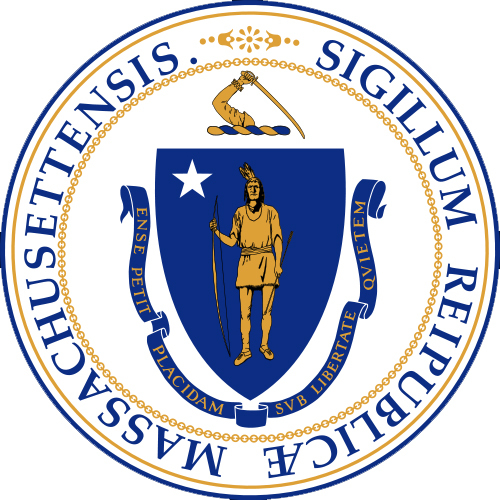 Seal of Massachusetts (public domain image on Wikipediia). The blue shield features a native American of the Algonquin nation (in gold) holding a bow in his right hand and an arrow pointing downward in his left (indicating peacefulness). The 5-ponted silver star above his right arm represents Massachusetts as one of the original thirteen states. The crest above displays a blue and gold braid with an arm grasping a broadsword - a representation of the state's motto (written in gold on a blue ribbon streaming below the native American): "Ense petit placidam sub libertate quietem" (By the sword we seek peace, but peace only under liberty). 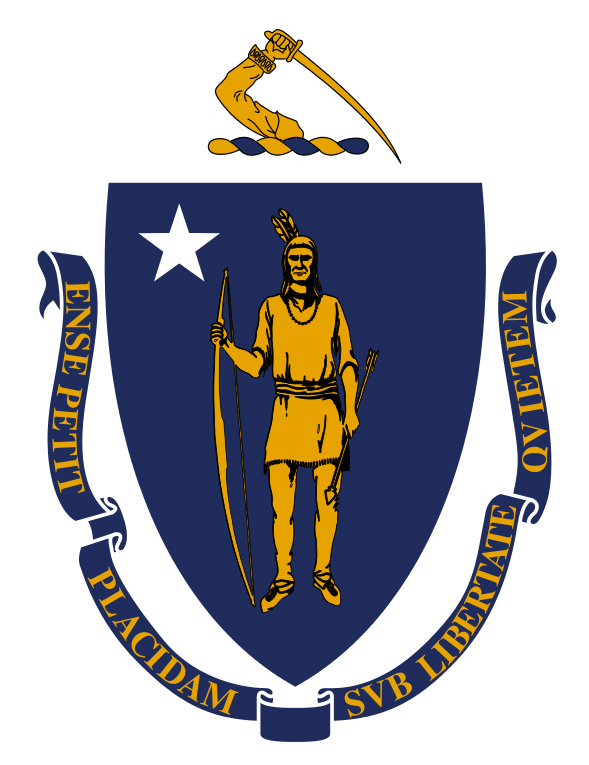 Massachusetts coat of arms (public domain image on Wikipedia).